Carpel Tunnel Syndrome is pain, tingling, and other problems in your hand because of pressure on the median nerve in your wrist. Carpel Tunnel Syndrome starts gradually, with frequent burning, tingling, or itching numbness in the palm of the hand and fingers, especially the thumb, the index & middle fingers. Symptoms may first occur at night while sleeping. 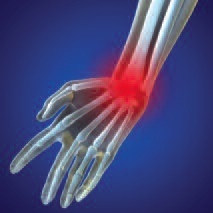 One with Carpel Tunnel Syndrome may wake up feeling the need to “shake out” the hand or wrist. As symptoms worsen, a person might feel tingling during the day. Decreased grip strength may make it difficult to form a fist, grasp small objects or perform other manual tasks. In chronic and/or untreated cases, the muscles at the base of the thumb may waste away. At PWFC, we will assess the cause of your pain and explain our course of action to help alleviate that pain, whether it be through Medical Massage, Myoskeletal alignment techniques, or through strength training and nutrition. We will tailor a program of proven, yet simple techniques to help you. With Certified Massage Therapy and/or Certified Personal Training, we will partner with you, tracking your progress, keeping you motivated and helping you achieve your goal. We will put all that we have, and then some, into getting you better. IT Band Syndrome (Iliotibal Band Syndrome) is a common overuse injury of the tissues located on the other part of the thigh and knee. ITBS symptoms range from a stinging sensation at the knee joint to swelling or thickening of the tissue at the point where the band moves over the femur. The pain may not occur immediately during activity, but may intensify over time. 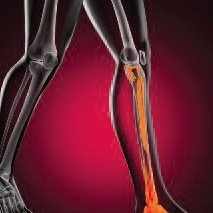 Pain may be above and below the knee, where the ITB actually attaches to the tibia. Sciatica describes persistent pain felt along the sciatic nerve. This is the longest nerve in the body. Pain results when this nerve is compressed or injured. It most commonly results from inflammation, bone spurs due to arthritis or a herniated disk in the lower spine. Sciatica causes pain that begins in the lower back and spreads through the buttocks, leg, calf and, occasionally, the foot. The pain generally feels dull, aching or burning. Sometimes, it starts gradually, worsens during the night, and is aggravated by motion. Sciatica also can cause tingling, numbness, or muscle weakness in the affected leg. Shin splints are injuries to the front of the outer leg caused by overuse. Seen mostly in runners or aggressive walkers. Pain in the front of the outer leg below the knee. Discomfort noted early in a workout, then lessens, then reappears near the end of the training session. Pain is described as dull at first, with continuing trauma can become very extreme. Normally caused by a tight and understretched calf muscle. Left alone, can be a disabilitating condition. 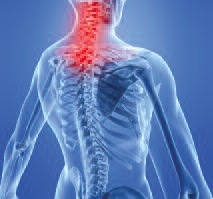 Upper back pain can happen as a result of trauma or sudden injury. It can also occur through back strain or poor posture (rounding shoulders and standing with head forward over strained back muscle). There are many different muscle tissues involved. People who work at computers most of the day are familiar with upper back pain if they are not practicing good posture. 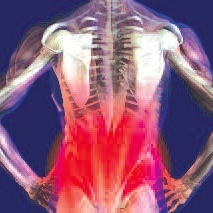 In the vast majority of cases, upper back pain is due to muscular irritation or joint dysfunction. Knee pain is a common complaint for many people and can be related to knee joint or around the knee. Injury, degeneration or arthritis can be the cause of knee pain, along with tight muscle tissue (abductors, quads, hamstring, IT Band, or your calf). A tight calf can be the cause of knee pain if you are a cyclist or a runner or if you spend long hours on your feet. Inactiviity can be as much a cause of knee pain as well. 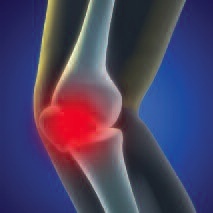 Painful feeling in knee that begins suddenly, could worsen gradually, could be dull or achy or even sharp or severe. Located along one or both sides of the knee, around the kneecap, behind the knee or in the knee joint. Triggered by everyday activities, overuse or injury and worsened by movement, prolonged sitting or standing or rest or inactivity. Leg pain is any type of pain or discomfort in the leg, from the hip joint to the heels. Leg pain is a fairly common complaint. Your legs are made up of joints, muscles, tendons, ligaments, nerves and blood vessels, all of which are subject to injury, infection or other conditions that can cause leg pain. 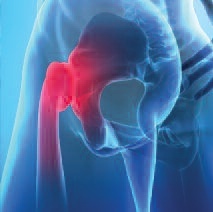 Pain in and around the hip area. Pain could be felt in the groin area as well as the buttocks area. There are many reasons for this kind of discomfort. Sitting can cause pain as well. You may complain that your hip just hurts. Most often, pain is felt in the front of the hip, but the pain may be also felt along the outside part of the hip or back side. Limping is a way the body compensates for pain by minimizing the amount of weight the hip has to support while walking. Beware of this condition. The more you limp, the worse this will become. It can increase back problems. Your muscles control your bony structure. Low back pain (also called lumbago) is a common musculoskeletal disorder affecting over 80% of people at some point in their life. It accounts for more sick leave and disability than any other medical condition. 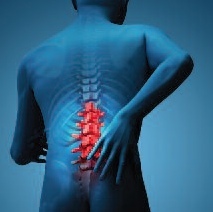 Pain in the lumbosacral area (lower part of the back) is the primary symptom of low pack pain. 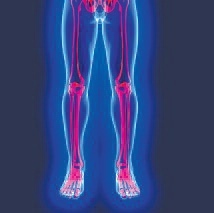 Pain may radiate down the front, side or back of your leg, or may be confined to the lower back. Pain may worsen with activity. Occasionally, the pain may be worse at night or with prolonged sitting such as on a long car trip. Weakness & numbness may occur, along with the inability to plantor flex the foot (meaning you would be unable to stand on your toes or bring your foot downward).